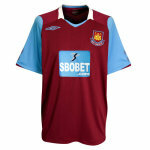 In England, West Ham who have been playing without a shirt sponsor since XL went bust have found a replacement in SBOBET. 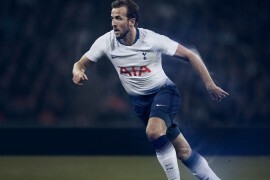 The new kit was worn for the first time last night in the game versus Tottenham and is now on sale. Additionally fans who have already purchased the 2008/09 home shirt are able to bring their shirt to either club store and get the new logo applied free of charge. Whilst SBOBET feature on the first team shirts, The Bobby Moore Fund for Cancer Research UK logo is to be carried on all kit worn by the club’s academy sides as well as on child replica strips. Meanwhile fellow London side Arsenal are considering their current sponsorship deal. 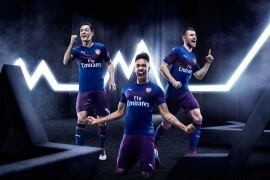 Ivan Gazidis, Arsenal’s incoming chief executive who takes up his new role in January is considering renegotiating the club’s kit sponsorship deals with Nike and Emirates as Gazidis believes that other clubs are getting much more money out of their kit deals. Arsenal’s £6m-per-year shirt sponsorship deal with Emirates, which runs until 2014 and its £8m-per-year deal with Nike, until 2011 are much smaller than Manchester United’s agreement with AIG, which is worth £56.5m over four years. Chelsea’s main sponsorship deals are with shirt sponsor Samsung, worth £50m over 5 years, and Adidas, with a £10m-per-year deal after paying Umbro £24.5m to end an existing deal in 2005. 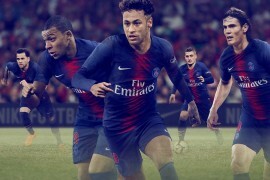 Former managing director Keith Edelman, signed the long-term deals with Emirates and Nike at a time when the club was urgently trying to raise finance for its new stadium, for which airline Emirates has a 15-year naming rights deal. In Europe, Dutch side Feyenoord have presented their shirt for the 09/10 season designed by Puma. The traditional red and white home strip has been kept and after suggestions from fans the new away shirt will be coloured black and green. Across in Italy, for one game only PES 2009 will be main shirt sponsors of Lazio. The biancocelesti wore the shirt for their Serie A match against Inter Milan on Saturday. In the glamorous city of Monte Carlo AS Monaco unveiled their new shirt which is partnered with international organisation Peace and Sport with the aim to encourage the practice of sport as an instrument of peace and social stability throughout the world. Over in North America Seattle Sounders FC, the 15th team to join the MLS, unveiled their 09/10 home and away football shirts made by Adidas. 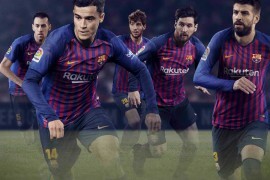 Loosely resembling a heraldic shield, the new badge over the heart consists of two layers representing the partnership between the ownership, the community, the players, and the fans. The logo incorporates the Space Needle, a universally recognized Seattle landmark. Elsewhere Toronto FC players Jim Brennan, Danny Dichio, Todd Dunivant, Rohan Ricketts, Chad Barrett and Greg Sutton joined hundreds of team supporters on Thursday night to unveil the team’s new 09/10 home and away uniforms. It is the first time Toronto FC have changed their kit since its inception. The new home jersey is red with grey trim and has a distinctly Canadian flavour with an embossed maple leaf featured in the centre and an embroidered Canadian flag patch on the left sleeve. A major new element of the new home jersey is the addition of a collar. After that trip around the world collecting all the football shirt news if you still want more then click onto footballshirtculture now.